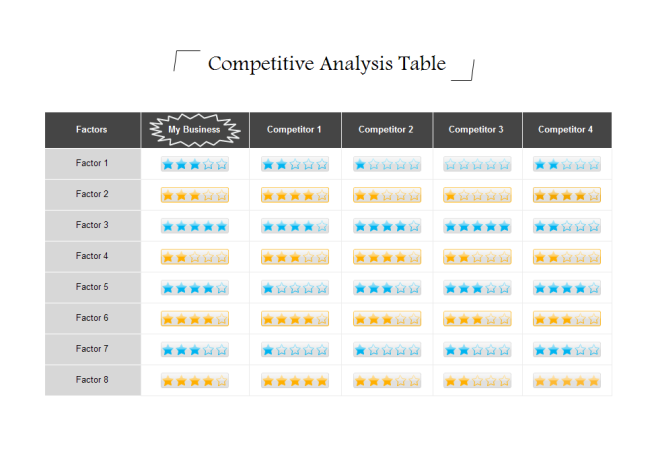 Description: Make competitive analysis table with pre-made templates and dynamic indicators. Edraw has included various comparison indicators for users to make presentation-quality comparison table at ease. This template you can download for free and it's editable.